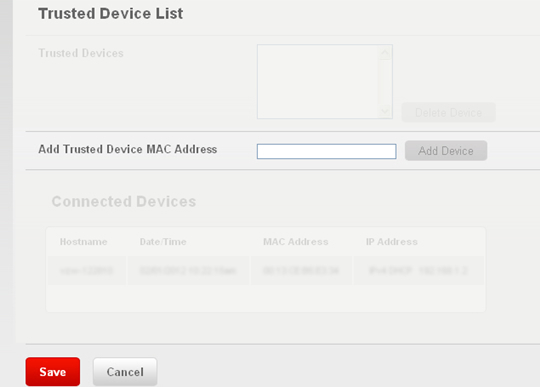 From the Security tab, click MAC Filtering. 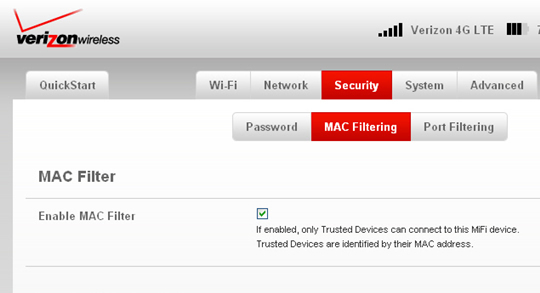 From the MAC Filter section, select Enable MAC Filter. 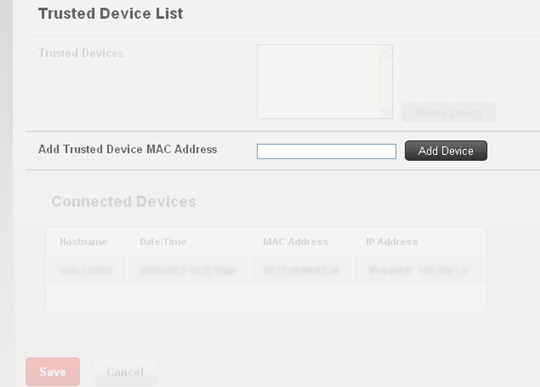 From the Trusted Device List section and from the Add Trusted Device MAC Address field, enter a 12-digit MAC address then click Add Device. Repite los pasos según sea necesario para agregar más dispositivos. Si vas a desactivar los filtros de MAC, ve al paso 5.